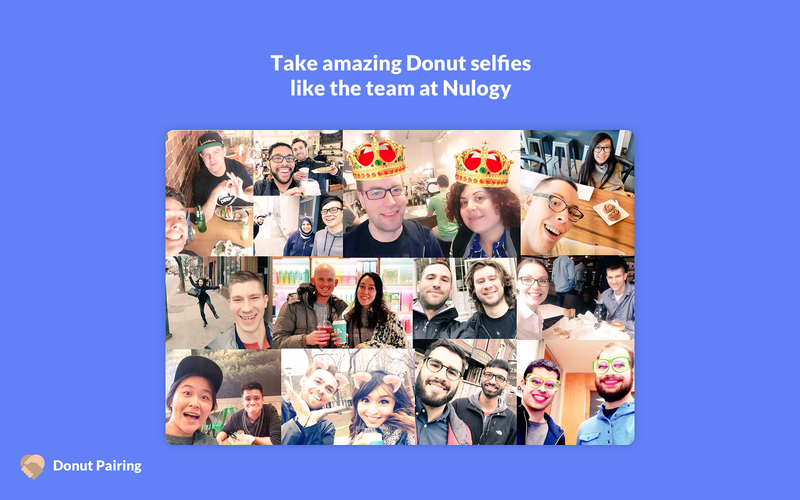 Build amazing company culture with Donut. Strengthen your team’s relationships, knowledge, and collaboration from Day 1.PairingLaunch a random coffee or lunch roulette program in just seconds. 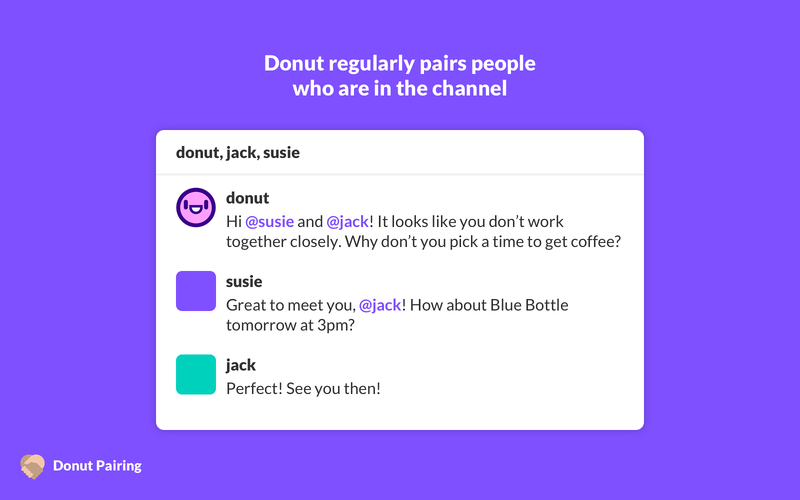 Donut introduces people who don’t know each other well on teams of all sizes via direct message, and encourages them to meet up for coffee :coffee:, lunch :hamburger:, or donuts :doughnut:. :ballot_box_with_check: Create multiple Slack pairing channels for different office locations, teams, or interests, like #sf-coffee-buddies or #pingpong-roulette. :ballot_box_with_check: Customize intro messages, frequency, or group size. Onboarding (beta)Check every item off your onboarding task list, every time. 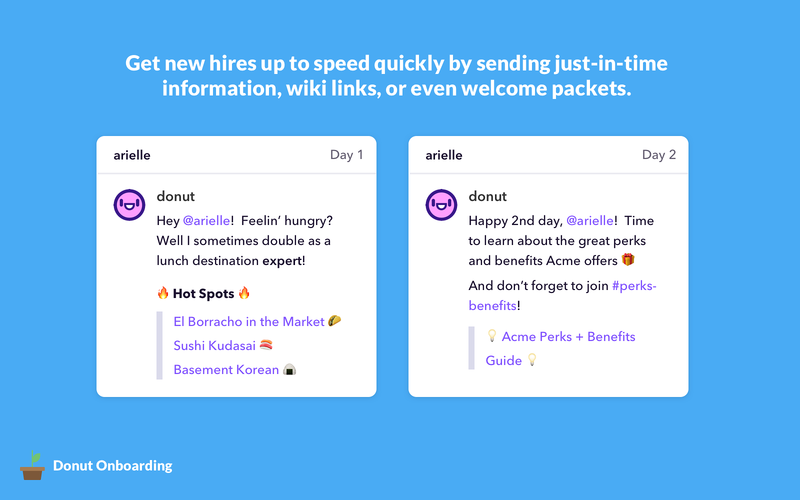 Donut allows you to create a structured, scalable onboarding process that’s automatically delivered through Slack. :ballot_box_with_check: Get new hires up to speed quickly by sending just-in-time information, wiki links, or welcome packets. 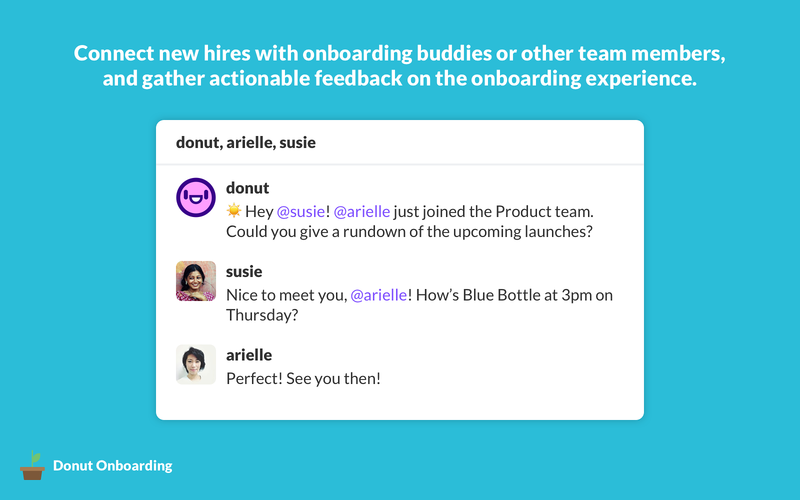 :ballot_box_with_check: Connect new hires with onboarding buddies or other team members, and gather actionable feedback on the onboarding experience. 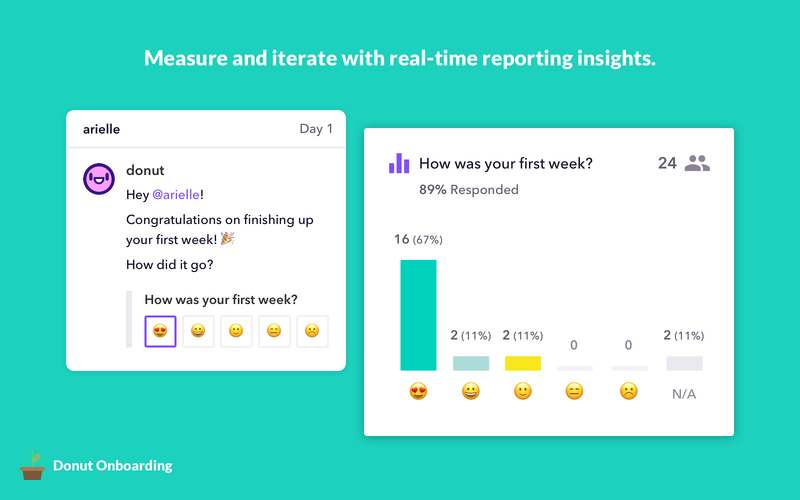 :ballot_box_with_check: Get set up in 5 minutes with plug-and-play content, or customize your own onboarding journey. :ballot_box_with_check: Create unique onboarding experiences based on role, office location, and more. Donut will be able to view your user id number, full name, and workspace id number on your workspace. Donut will be able to view the email addresses of your Slack workspace’s members. 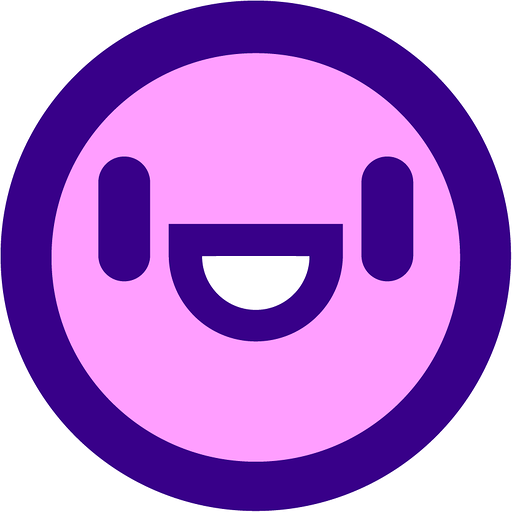 Donut will be able to modify information about your public channels, including name and purpose, as well as archive and create new ones. Donut will be able to install a bot user that appears in and has access to your workspace’s directory. It can also post messages and view activity on messages in any channel it is invited to. Donut will be able to access profile information for all users on your workspace, including names and contact information.